After breakfast depart Delhi for Agra arriving in the Hotel. 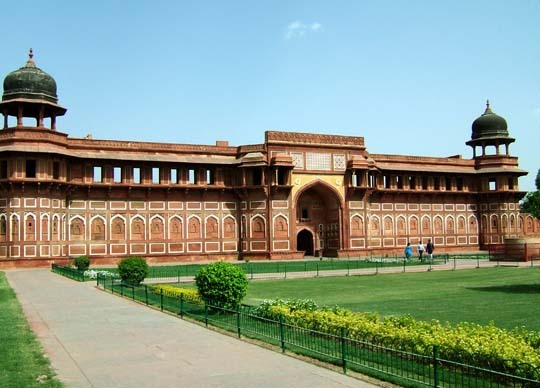 Agra: Once a magnificent Mughal Capital , Agra is renowned for the Taj Mahal, one of the seven wonders of the world.This exquisite mausoleum stands eloquent witness to Emperor Shah Jahan's immortal love to his wife Mumtaz Mahal. After breakfast depart Agra for Ranthambhore visiting en route to visit Fatehpur Sikri. Fatehpur Sikri: designed by King Akbar as his capital, the city was lived-in for only a very few years - between 1570 and 1586. It is	a beautiful architectural city built of red sand stone, which is now deserted. After visiting Fatehpur Sikri drive straight to Ranthamhore arriving in the hotel late in the afternoon. Ranthambhore National Park. 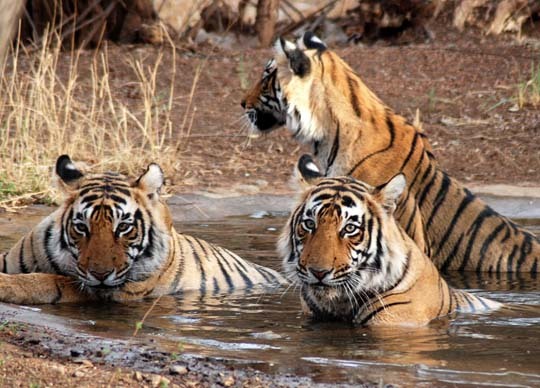 Ranthambhore is said to have India's friendliest Tigers. Assured of protection they have changed their habits and are seen quite frequently during the day. Early in the morning Jeep Ride (Seat in a Jeep/Canter) into the jungle to view the wildlife. Rest of the morning free for independent activity. After lunch another Jeep Ride (Seat in a Jeep/canter ) into the jungle to view Wild Life. Return to hotel for dinner and overnight stay. After breakfast depart Ranthambhore for Jaipur arriving in Hotel late in the afternoon. Jaipur: Jaipur, the capital city of Rajasthan, popularly known as the pink city, built by Raja Jai Singh in the 18th century. Shopping at Jaipur: Paradise for the famous Rajasthan's handicrafts and here are available tie and dye, block printed textiles ,beautiful jewellery, embossed or in lais brass ware, lacquer work. After breakfast full day sightseeing of Jaipur City and Amber Palace visiting in the morning Amber Palace. 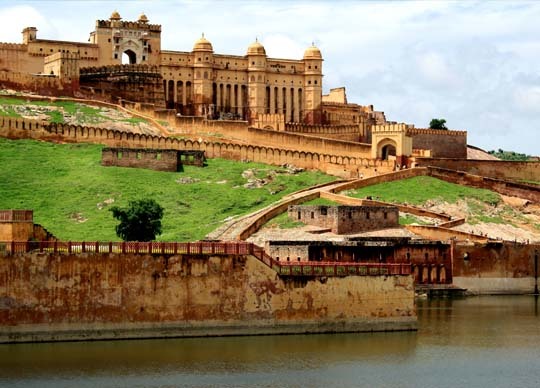 Amber Palace: Amber is a fascinating blend of Hindu and Muslim architecture. Built in the 16th century by Raja Man Singh, it sprawls on the hill side. Enjoy a truly Indian Experience with an Elephant ride at the Palace like Maharajas and Maharani used to do. 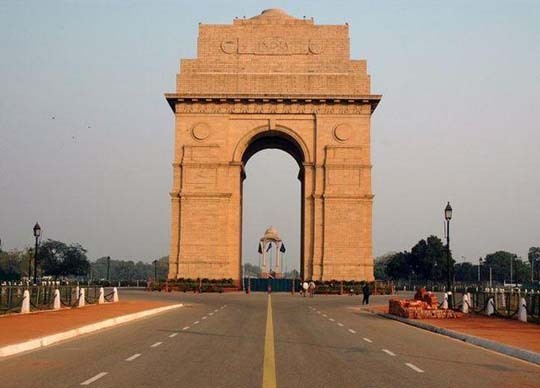 In the afternoon sightseeing tour of Jaipur city visiting:- The City Palace, The Hawa Mahal,The Astronomical Observatory, The Museum. After breakfast depart Jaipur for Pushkar arriving in Hotel. Pushkar: One of the Jewels of the Great Desert of Rajasthan is the famous holy town of Pushkar, located 11Kms west of Ajmer is sacred to the Hindus and is separated from Ajmer by the Nag Pahar. In the afternoon visit Puskhar Fair. After breakfast sightseeing of Pushkar city visiting:- Brahma Temple and Pushkar lake. 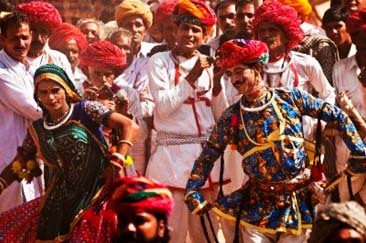 Rest of the day to spend in Pushkar Fair. After breakfast depart Pushkar for Delhi arriving in the hotel late in the evening.